Penny Greer is an ordained minister in the United Church of Christ having. She retired in January to be the President of the Board of Nebraska Interfaith Power and Light, an organization devoted to advocacy and education about climate change within communities of faith and beyond. She is also a scientist with a B.S. in Geology and is working toward an M.S. in Applied Climate. Penny is part of a research group at UNL specializing in extreme events. Her specific research is on extreme rain events lasting less than a day – the fastest growing type of event we are experiencing with climate change. We will talk about the most recent events around the world and the US that have probably been influenced by the warming climate. We will see what’s going on in Nebraska. Looking at precipitation, drought, agricultural developments, threats to water supplies - in short - the works - right here! An overview of Aquaponics, Aquaculture and Controlled Environment Agriculture and discuss how these topics affect the lives of children and adults living in the communities he assists in the United States and abroad. Greg Fripp is the Founder and Executive Director of Whispering Roots, Inc. Whispering Roots is an award winning non-profit organization dedicated to bringing S.T.E.M. Education, healthy food and economic development to underserved communities both urban and rural by using Urban Agriculture, Aquaponics, Aquaculture, Hydroponics and Controlled Environment Agriculture. Greg travels both nationally and internationally consulting on techniques to increase the availability of healthy food while enhancing the educational and economic opportunities for people in need. 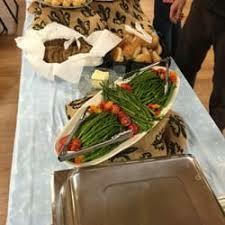 ​Cooking demonstration with seasonal local foods followed by a delicious meal catered by Table Grace in Omaha. The mission of Table Grace is to foster a healthy community by offering great food prepared and served in a graceful manner to anyone who walks through the door. Environmentally, they "rescue" foods from stores and restaurants and cook with as many organic and fresh ingredients as possible. Jeremiah Picard has been raising worms for over 10 years And currently Has the largest worm operation in Nebraska with over 5 million worms. Jeremiah has Served on the boards for community Crops and the Nebraska Food Cooperative For the last five years. He is the district 5 president for the Jeremiah has also been heavily invested in local food policy, food safety, and regenerative agriculture for many years. Jeremiah also wears the hats of father, husband, computer nerd, and cycling enthusiast. In this presentation we will explore the values of the worm, the environment they help to create, their role in the environment and how you can harness their power. By farming, Denise has had numerous opportunities to work within the agricultural community by working on policy development on the state, national and international level and becoming involved in the community of local food systems and conservation issues. Throughout her farming career, Denise has been extremely involved in her community as well as in the agricultural sector. She is the co-founder of Women Food and Agriculture Network. She currently serves as Chair of the Board of Directors for Pesticide Action Network of North America. Denise also helped found and serves on the board of Sustainable Iowa Land Trust, an organization that uses easements to preserve land for food production in Iowa. Denise has received numerous awards for her community achievements and accomplishments. O’Brien recently completed a year as an USDA agriculture adviser in Afghanistan. The role of public power in addressing climate change, specifically how OPPD has moved in this direction (how did that happen and what was the role of citizen advocacy) and any other guidance you can give us on how to further impact public power's commitment to renewable energy. Drawdown by Paul Hawken and a team of over 200 environmental experts presents the 100 top opportunities for reversing—not just reducing—greenhouse gas emissions by 2050. Many authors have documented the evidence for global disaster if we don’t take action. How can we respond as responsible citizens to become change agents through our own daily choices and as activists? Cy and his wife Marcia have been members of First Unitarian of Omaha for 35 years and have been involved for several years with the OTOC Environmental Sustainability Action Team—Cy is the team’s recording secretary. Their interest in environment issues goes back to the first Earth Day in 1970 which started their lifelong interest in consumer choices that benefit health, fair working conditions, animal welfare, and sustainability. Cy has a Ph.D. in Educational Psychology from UNL which has helped him explore what is known about human adaptation and change. 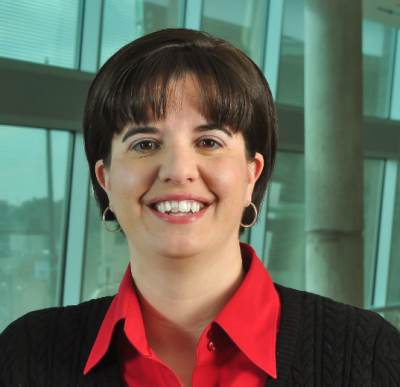 ​​Melanie Stewart has been at the University of Nebraska Medical Center and Nebraska Medicine for 18 years and is now the Sustainability Manager for both organizations. Both UNMC and Nebraska Medicine have been actively pursuing sustainability goals since 2010 and Melanie has been involved since that time. The joint Sustainability Master Plan includes ambitious goals, including achieving net zero emissions, waste, and water by 2030, as well as goals involving campus planning, engagement, and transportation. They have made impressive strides in achieving these goals while continuing to add square footage to campus. Melanie will discuss sustainability’s direct connection to both individual and community health, including simple actions individuals can take. She will review the goals in UNMC and Nebraska Medicine’s joint sustainability master plan including the process, motivations, and obstacles as well as the progress on those goals and successes. Melanie will also discuss the changes healthcare, as well as other businesses/institutions, can make and the benefits to both the institution and community at large. 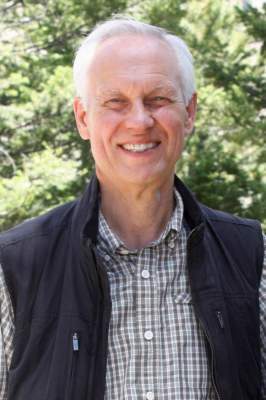 While at Nebraska Farmers Union Graham Christensen organized landowners against the KXL Pipeline, helped lead efforts to educate rural Nebraskans about climate change and renewable energy, and helped enroll 1.2 million agriculture acres into a carbon sequestration program to help farmers and ranchers utilize techniques designed to lower GHG emissions. Christensen is the President of his company GC Resolve, which focuses on grassroots community development, mobilization, and education with an emphasis on environment. Current projects under GC Resolve include raising awareness about Nebraska’s rising water quality issues caused by corporate farming and also educating and advocating for a change in the food production system to “regenerative” farming and ranching principles. Christensen recently started his second business GC ReVOLT, a solar and alternative energy development company. Graham is still actively involved in operating Christensen Farms, Inc. with his family, and currently serves as the State Secretary for the Nebraska Farmers Union.